We install, repair and maintain Heat Pumps in the Dillsburg, Mechanicsburg & Camp Hill PA area (York and Cumberland County in Central PA). Heat Pumps are an efficient way to heat and cool your home. A heat pump functions like a regular air conditioner when it's warm outside; in fact, it even looks like a regular air conditioning unit. But when the weather turns cooler, a heat pump reverses operation to provide heat. So instead of needing a separate air conditioner and heater, one piece of equipment provides both heating and cooling. And heat pumps are cheaper to run than a regular heating system, since they move heat instead of converting it from fuel the way a regular heater does. 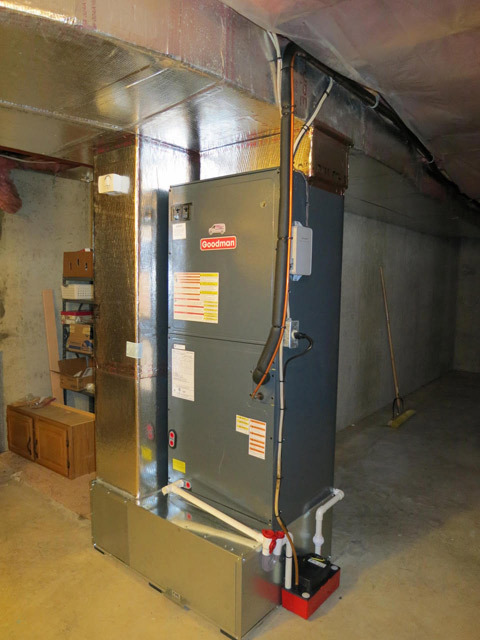 Air source heat pumps pull heat indoors from the outdoor air in the winter, and from the indoor air in the summer; they are the most common type of heat pump in America. We have been installing and servicing heat pumps for over 40 years. It is not a new technology. However, heat pumps have advanced light years through the decades to their current popularity. 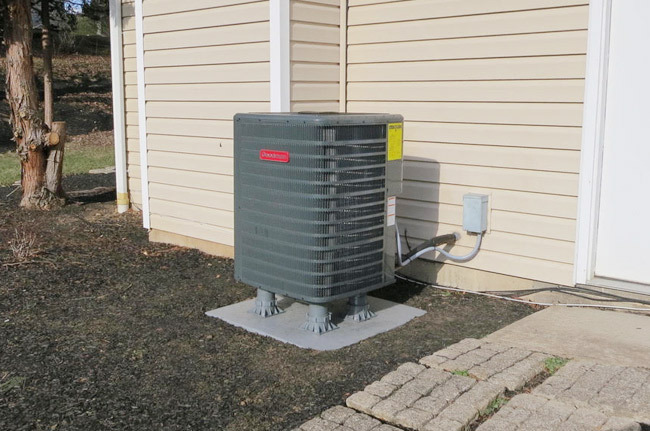 Heat pumps are the most widely used means of heating and cooling in Central Pennsylvania. We also install ductless heat pumps, which consists of an indoor unit, which is either wall-mounted, floor-mounted or concealed, paired with a quiet and compact outdoor unit. A mini-split/ductless system has components that are located both inside and outside the home. They provide year-round comfort by mechanically cooling or heating the air from inside your home while transferring the heat absorbed or lost to the outside via a sealed refrigerant circuit. Daikin's single-room heat pumps are energy efficient and ideal for heating a small space. They are small and unobtrusive in your home. Imagine your hard-to-heat bedroom, sunroom, or bonus room being toasty warm without the fuss of a furnace or the hassle of a ducted system. With an opening just 3" or smaller in diameter, a ductless mini-split heat pump is easy to install and maintain. Thousands of Central PA homeowners have trusted Staley Mechanicals with their heat pump repairs, maintenance, and replacement. We are constantly involved in continuous education to keep up with current technology. Most companies utilize what they call "installers" instead of technicians for their heat pump installations. Often these installers are not familiar with the inner workings and technology of the equipment. This can lead to a less than satisfactory installation. And many companies lack the proper test equipment and knowledgeable technicians to properly service heat pumps. This can promote practices such as "parts changing" to try to solve problems instead of correctly diagnosing them. All of our heat pump installations are performed by a top technician, keeping serviceability, efficiency, and safety in mind. You will never have to be concerned about an inexperienced technician showing up at your home from Staley Mechanicals. Let us custom design, properly install, maintain, and repair your heat pump for many years of comfort and efficient operation. You will not regret it!